The Enchanted Crystal Castle is furnished to the highest standard and offers your family the luxury of a FIVE star property. This combined with the relaxed atmosphere of a family home. 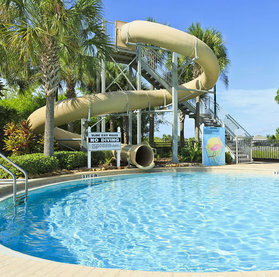 Soak up the Florida sunshine on the extended screened deck where you can relax in the pool or spa, or simply enjoy the shade of the lanai - sipping your drink while dinner cooks on the BBQ. Our beautiful home benefits from Three designer Master Suites with Four Poster Beds and Walk in Closets that exude opulence and comfort � perfect for accommodating three sets of couples. Our home also has two twin bedrooms where visitors of all ages will enjoy their stay in either of our magical themed rooms - the "Star Wars" suite and the "Jungle Book" suite. The Family and Dining Rooms are perfect locations for unwinding after a busy day at the parks, sink yourself into a comfortable leather sofa while you watch a Widescreen High Definition Televisions with Surround Sound, Premium Cable and High Speed Mesh WIFI. The whole family will enjoy the 'Super Hero' Games Room featuring a 16 foot Spider man Wall Mural, Widescreen High Definition TV, PlayStation 4 with Games, Pool Table, Foosball, Air Hockey and Dartboard. The kitchen is a cooks dream and has everything you will need to cook breakfast, lunch or dinner, plus standards such as dishwasher, microwave, fridge freezer with ice maker, waste disposal, toaster, coffee maker, waffler maker, blender and much more. 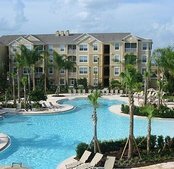 Once you set foot in our lovely home you will just want to stay forever. 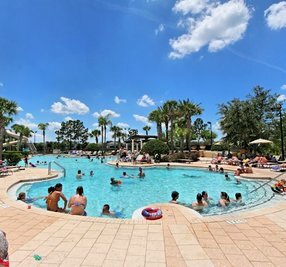 Contact us now to experience the ultimate Disney World and Universal Orlando vacation. 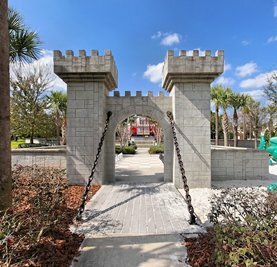 You cannot get closer to Disney ... located within a 3 minute drive of Disney Theme Parks; 1 minute drive to excellent restaurants and shops on highway 192. 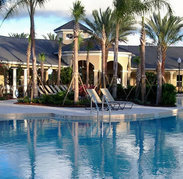 Windsor Hills offers everything for the vacation of a lifetime. 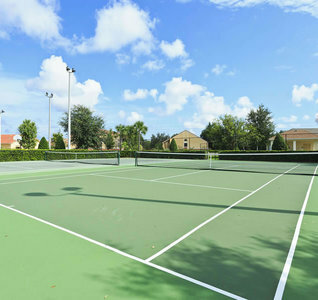 Our guests will benefit from Free FIVE Star Resort facilities located in and around the Spacious Clubhouse which include � State of the Art Movie Theater, Fitness Room & Gym, Basketball, Tennis & Volleyball, Putting Green, Pool & Billiard Tables, Table Tennis, Whirlpool & Spa, Double Olympic Size Swimming Pool, combined with Childrens water park, which also has a beach section. 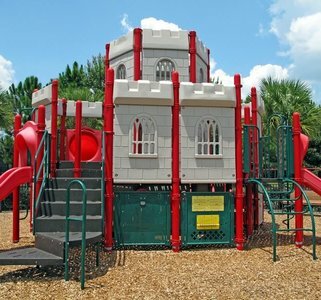 Windsor Hills also provides a Children's play area, and a select BBQ area together with a Convenience Store and Video Arcade. Low cost shuttle services to the shops and area attractions are available to all our guests and can be booked at the main resort office. 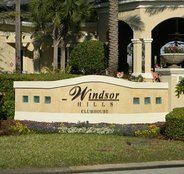 For your added peace of mind Windsor Hills is a 24 hour secure gated community.